Young America, the infant and youth line from Stanley Furniture Company, surprised approximately 30 expectant mothers and new moms whose spouses are deployed members of the U.S. Navy with their own sets of nursery furniture during an Operation Shower®/Birdies for the Brave® group baby shower. Part of the PGA TOUR&apos;? ?s Birdies for the Brave fundraising weekend, the &apos;? ?Babies for the Brave&apos;?-themed event was hosted by Amy Mickelson, wife of PGA TOUR player Phil Mickelson, and Cathy Justice, wife of Greenbrier Resort Owner Jim Justice. Held in the TPC Sawgrass clubhouse, the shower featured a special grand prize raffle of a Young America furniture package, which included a Young America crib and case piece, along with a Colgate crib mattress. Although Operation Shower positioned the prize as a single gift for one lucky mom, the attendees were ecstatic when Young America surprised the moms by announcing that they all would receive the furniture prize. The prizes included selections from across Young America&apos;? ?s stylish furniture collections, which are made in the U.S.A. at Young America&apos;? ?s state-of-the-art manufacturing facility in Robbinsville, N.C. The moms at the shower were impressed to learn that Young America furniture is the safest furniture parents can buy for a child and found the company&apos;? ?s Built to Grow story quite appealing. In addition to the Young America furniture, each of the moms received Operation Shower&apos;? ?s signature &apos;? ?Shower in a Box,&apos;? which contains high-quality, unique mom and baby products, including onesies, crib bedding, clothing, diaper bags and toys. Prior to the &apos;? ?Shower in a Box&apos;? presentation, the guests listened to short speeches from shower hosts Amy Mickelson and Cathy Justice. During her address, Mickelson described her grandmother&apos;? ?s experience as a military wife, which was similar to that of the shower honorees. In fact, she relayed that her grandfather had missed the birth of his daughter because he was stationed abroad and was unable to come home until his child was 18 months old. Justice spoke of the important role mothers play in children&apos;? ?s lives and discussed the Greenbrier Resort&apos;? ?s commitment to charity and to the military. She even invited the moms to visit the resort should they ever come to West Virginia. Following the remarks from Mickelson and Justice, Operation Shower Founder and Chief Shower Officer LeAnn Morrissey explained the organization&apos;? ?s mission and announced that with the completion of the &apos;? ?Babies for the Brave&apos;? event, Operation Shower will have &apos;? 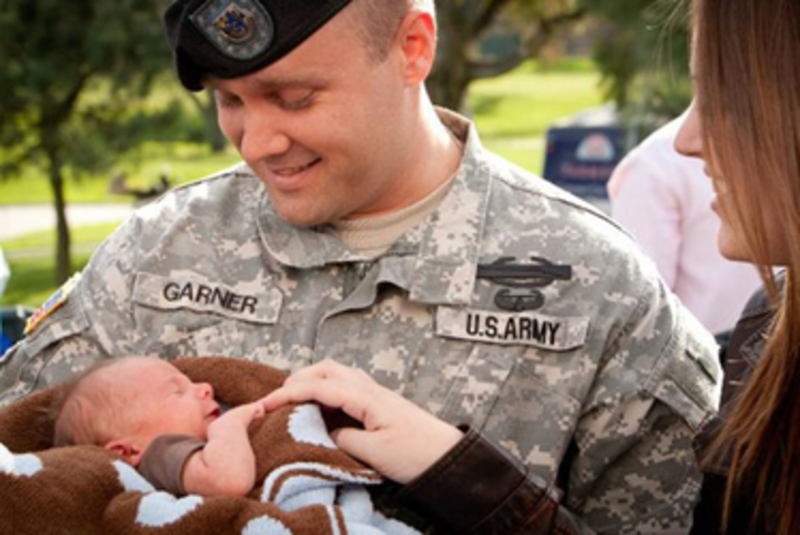 ?showered&apos;? its 1,000th military mom since its founding in 2007. For more information on Young America, visit www.youngamerica.com. To learn more about Operation Shower, visit www.operationshower.org. For more information about Birdies for the Brave, visit www.birdiesforthebrave.org.